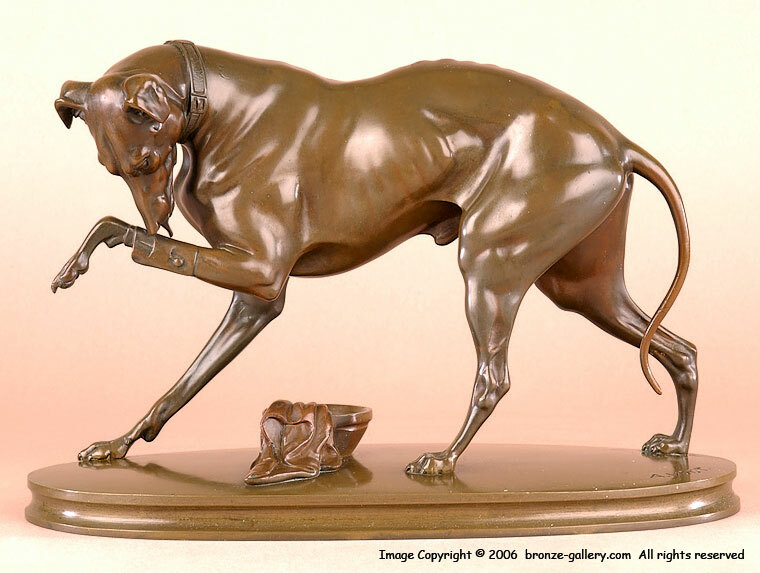 Adelgunde Vogt (1811-1892) was a Danish sculptress who specialized in animals, many of which are wood carvings. At the time, women were rarely painters and almost unknown as sculptors. She studied under the sculptors Herman Ernst Freund in 1837 and Bertel Thorvaldsen in 1840. She won the Academy Awards Neuhausen Prize in 1839 for her Cow with Suckling Calf. In 1843 she was nominated for membership in the Academy but as a woman she was only allowed an honorary membership. Her 1863 work Two Horses Standing is exhibited in the National Gallery of Denmark. She married in 1846, but she returned to sculpting in 1855 after her husband died. This fine large bronze of a Greyhound licking his paw is quite rare in this original 19th century bronze cast. 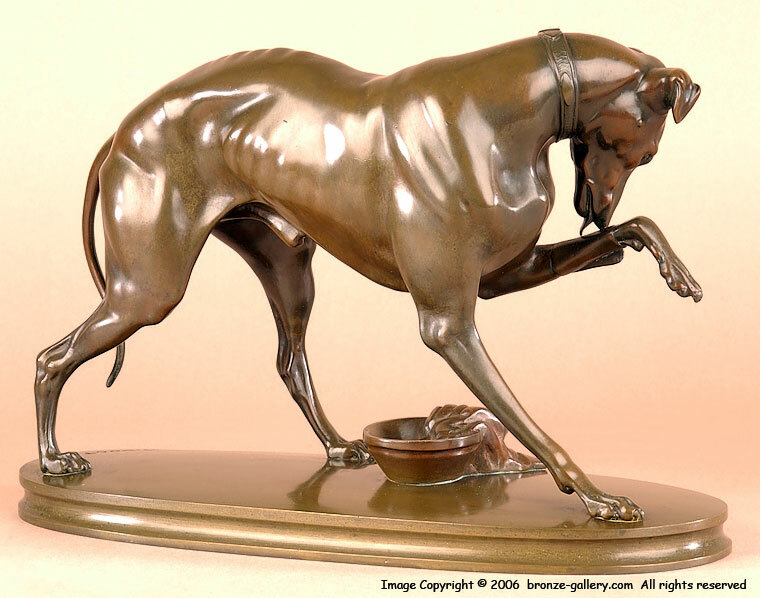 The model was copied in white metal by the Ansonia Clock company as a top piece to compliment their clocks. The muscular Greyhound is well sculpted and is finished in a rich brown patina.